Cathy is, quite possibly, the world’s happiest pilgrim! 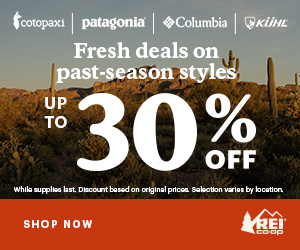 I met Cathy in spring 2015 when I first started learning about the Camino de Santiago. She is truly passionate about it and loves to share tips and advice. Her detailed posts on her Facebook timeline showed a glimpse of what pilgrim life really entails—from camaraderie to injuries. I had the opportunity to interview her on a hike in Santa Cruz (see Pilgrim Interview: Cathy Seitchik Diaz). In November 2015, Cathy and David came up to Oakland for a NorCal Chapter event, A Walk in the Redwoods. 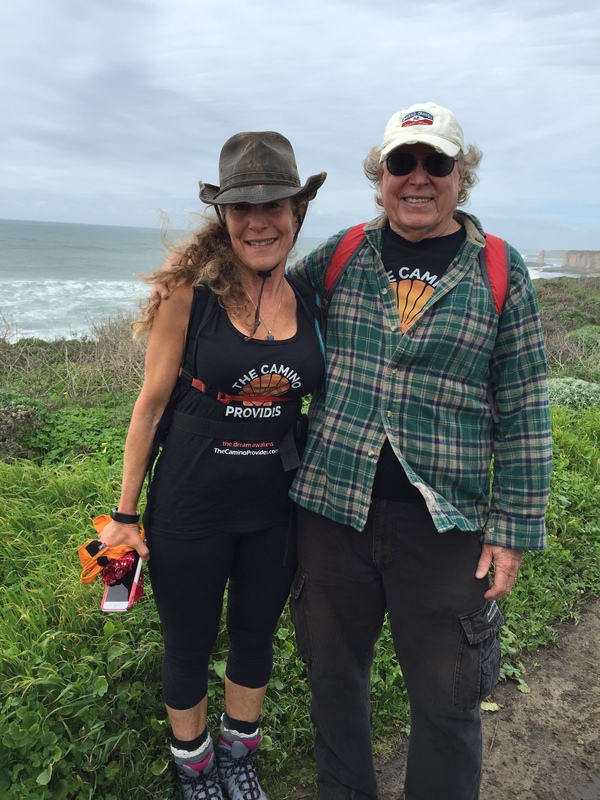 In January 2016, she and I organized the Santa Cruz Coastal Hike. She even wrote a guest post, Walking the Camino as a Couple, for the February “Camino Love” feature. Needless to say, Cathy is a great peregrina (female pilgrim) friend and a trusted source of pilgrim knowledge. 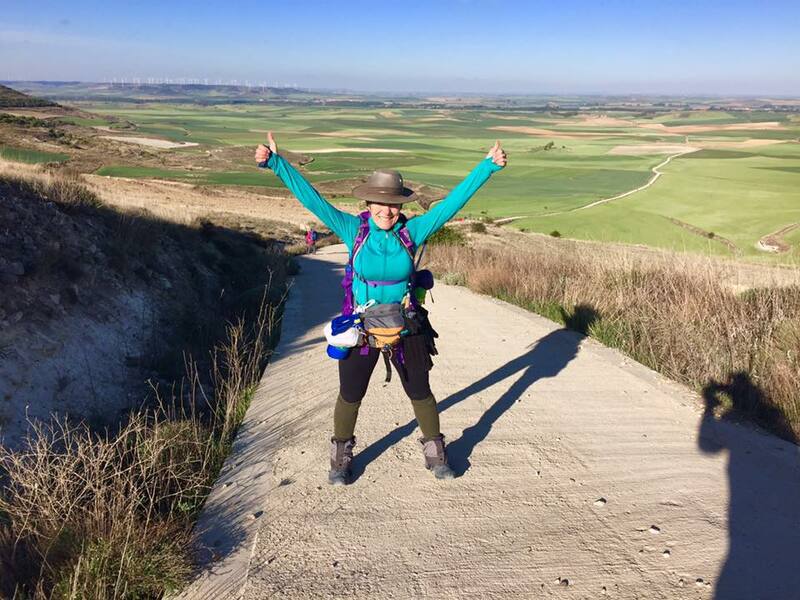 Since she is the official route reporter for Camino Francés 2017, her updates will be documented here for you to enjoy as well as to refer to when getting ready for your own Camino. Cathy was interviewed on the Camino Podcast for the series about Camino Francés. You can listen to Episode 15 below. 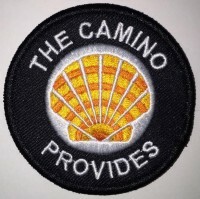 In this episode, conversations center on the first six stages of Camino Francés. The episode starts with Cathy Diaz reflecting on the first part of her pilgrimage—St. Jean Pied de Port to Pamplona/Cizur Menor. Rebecca Gallo picks it up from there and talks about the stretch leading to Los Arcos. You can find other Camino routes linked under the Route Reports drop-down menu, and on the Camino Routes page. If you would like to be a Route Reporter, contact me.